1. Whisk protein power, water and vanilla extract together in a medium size bowl until powder is dissolved. 2. Mix in chocolate syrup. 3. Fold in Cool Whip. 4. Pour into baking dish and freeze for at least 2 hours. 5. 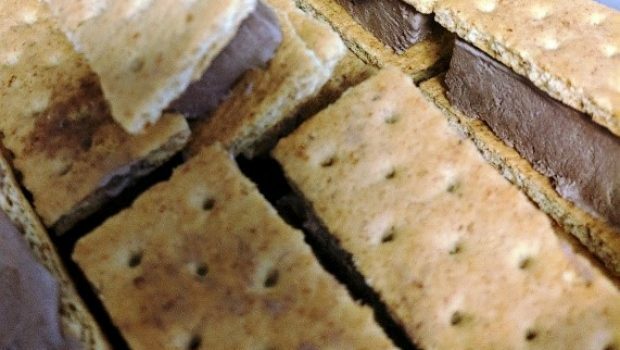 Slice the ice cream into 1-by-2 inch squares and place them between two graham crackers.